Three Isle lake is a fairly good sized lake located near South Kananaskis Pass within Peter Laugheed Provincial Park. 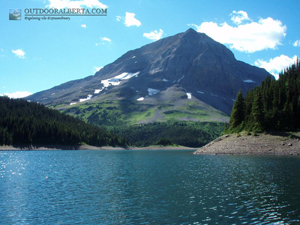 Getting there is via popular backcountry trails around Upper Kananaskis Lake and there is a backcountry campground located on the lake. The lake appears to be fairly deep in areas and the water is clear blue. 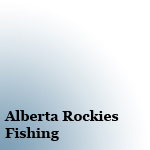 Fishing in Three Isle Lake has always been good for me with action at most times of day. The clear waters allow for some great sight fishing on a calm day with many fish also cruising the shore. 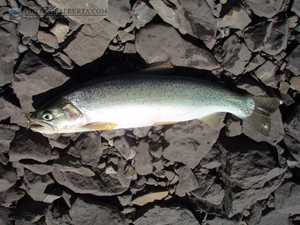 This stocked lake has some smaller sized cutthroat but many are in the 12-13" range. I did catch some larger specimens up to 15". The fish in the lake were pretty aggressive but they are fished on a regular basis so not as aggressive as some other backcountry lakes. Water levels vary in the lake drastically.